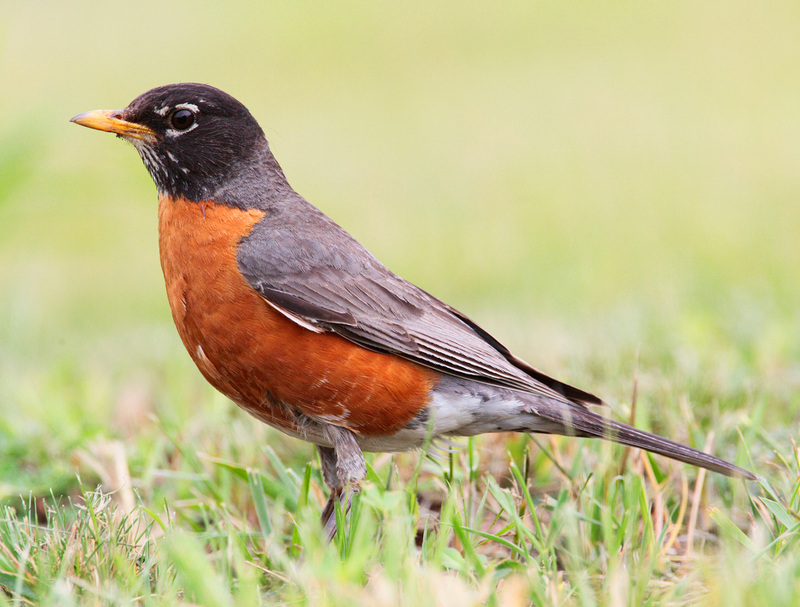 American Robin: When was the last time you saw one? The American Robin (Turdus migratorius, also called North American Robin) is a migratory songbird of the thrush family. This species of Robin is widely distributed throughout North America. The American Robin’s diet generally consists of around 40 percent invertebrates, such as beetle grubs, caterpillars and grasshoppers, and 60 percent wild and cultivated fruits and berries. It forages primarily on the ground for soft-bodied invertebrates, and finds worms by sight, pouncing on them and then pulling them up. The adult robin is preyed upon by hawks, cats and larger snakes, but when feeding in flocks it is able to be vigilant and watch other birds for reactions to predators. The American Robin has an extensive range, estimated at 16 million square kilometers (6 million square miles), and a large population of about 320 million individuals. Robin Red Breast in the Garden. Beetle Babies: What exactly are beetle larvae? The GrassCutters offer Organic Grub Control | The GrassCutters – Organic Lawn Care Service Powered by Clean Renewable Energy!